The key argument is that agriculture (mostly sugar cane cultivation in the coastal plains) depleted coastal forests since the early 1800’s until the 1940’s when only 6% of the original vegetation remained untouched. Demise of agriculture and rapid coastal urbanization “led to a natural increase in forest cover equivalent to 44% of the island by 1992” (Martinuzzi et al 2009: 78, after Helmer et al 2002). After 1971, improvements in conservation policies and actions led, according to the study, to the protection of mangroves, and thus to an increase in cover in a number of sites throughout the island. Most of the mangrove forests in Puerto Rico are located within protected areas and those outside these areas feature a pattern of cover reduction since the 1970’s. Martinuzzi et al (2008) underscores the importance of protected areas and their role in protecting Puerto Rico’s mangrove ecosystem since the 1970’s, which contributed to an increase in forest cover, and protecting the remainder of the mangrove patches from depletion. The paper calls for a new inventory of the mangrove ecosystem (the last one was in 1989) and the “development of standard methods for mapping and classification of the coastal areas” (2008:82). The authors also recommend that an official mangrove monitoring program be put in place to support other management activities in the coastal zone such as zoning and developing effective regulations. The suggestion after reading this paper is that there is an urgent need for a thorough historical analysis of mangrove forests that incorporates anthropology, historiographical methods and, perhaps, archaeology with an interest in the reconstruction of paleoenvironments (see Dahdouh-Guebas and Koedam 2008 ). For example, Martinuzzi et al indicate that the protection of mangrove forests started in 1919 (under U.S. ruling). However, archival information and a number of historical studies provide evidence on the fact that the Spanish government and its forestry agency, La Inspección de Montes, had under protection a large portion of the mangrove forests throughout the island (including the Piñones forest in the northern coast, described by Martinuzzi et al as the largest mangrove patch). In fact, municipalities and the central government regulated the cutting and filling of mangroves, and protected the associated habitats and wetlands (Giusti-Cordero 1994 , Domínguez-Cristóbal 2000, ). During the occupation, the U.S. authorities received nearly 300,000 acres of protected forests from the Spanish government, including large mangrove areas in Piñones, Jobos (southern coast), Boquerón (western coast) and La Parguera (southern coast). While the U.S. government protected the forests inherited from the Spaniards and added land to extant protected areas, the sugar cane sector continued devouring the few coastal forests left as well as those in piedmont areas. Another area that deserves attention is the occupation of marginal urban lands (in San Juan and elsewhere) by shantytowns from 1900 to 1971. The impact of the Land Law (Ley de Tierras) and urban renewal projects that eased the pressure exerted by the urban poor on mangrove areas near urban coastal settlements, which also served as important industrial and sugar production centers, also warrants interest. Following Dahdouh-Guebas and Koedam’s (2008:80) transdisciplinary approaches (“combination between basic and applied sciences on one hand, and social and human sciences on the other”) and a retrospective (historical) perspective may provide important insights and knowledge on the life history of mangroves. Cintrón, G., A. E. Lugo, D. J. Pool and G. Morris. 1978. 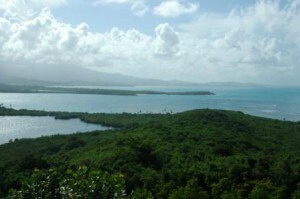 Mangroves of arid environments in Puerto Rico and adjacent islands. Biotropica, 10, 110–121. Dahdouh-Guebas, F. and N. Koedam. 2008. Long-term retrospection on mangrove development using transdisciplinary approaches: A review. Aquatic Botany, 89, 80-92. Domínguez-Cristóbal, C. M. 2000. Panorama histórico forestal de Puerto Rico. San Juan: Editorial de la Universidad de Puerto Rico. Giusti-Cordero, J. A. 1994. Labor, Ecology and History in a Caribbean Sugar Plantation Region: Piñones (Loiza), Puerto Rico, 1770-1950. Ph.D. Dissertation, State University of New York, Binghamton. Interesante articulo, pero cuando lo ves como un manejador, el escenario en algunas ocasiones pudiera ser distinto. Estamos acostumbrado a pensar que los mangles son parte del humedal, sin embargo en algunos escenarios pudiera ser un PLAGA. That is all well and good, We also need to recognize changes of mangrove species composition, a more difficult issue to evaluate historically. The function of mangrove systems is not the same if its a monoculture. For instance it would be nice to see more projects restoring complex mangrove systems using multiple species approach than those concentrating efforts in monoculture practice. In that way a more comprehensive restoration of function may be restored but also a more complete understanding of the variability of success is achieved. In that respect, what about including restoration of black mangrove stands, many of which have been impacted at least locally. For conservations purposes, a more demanding topic as their environmental requirements are more at odds with current coastal encroachment trends.